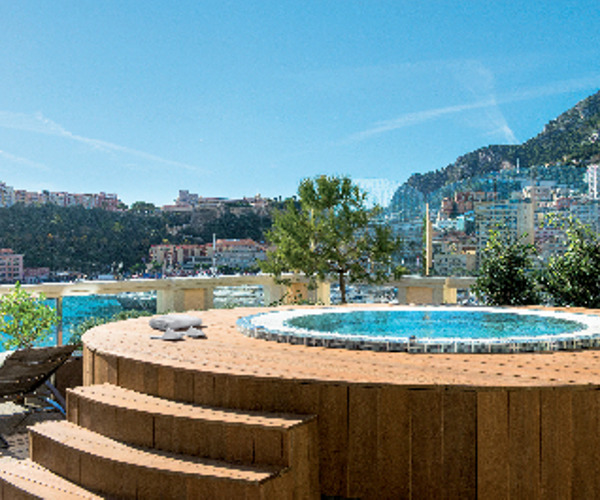 Overlooking the stunning coastline of Monte Carlo you’ll find the unwaveringly glamorous Thermes Marins Monte Carlo Spa and the Hotel Hermitage. The charming antiquity of the buildings simply adds elegance to your stay, whilst the modern facilities will ensure that you have everything that you may need. The spa itself is a true haven of tranquillity and focuses on capturing the glamour and elegance of Monte Carlo while simultaneously allowing guests to relax and unwind as they enjoy some of the wide variety of treatments on offer. As well as concentrating on relaxation treatments the Thermes Marins Monte Carlo Spa also offers anti-ageing, slimming and beauty treatments to ensure that guests can get the most from their time at the tranquil spa. The spa stretches over 7,000sqm and has 30 luxury treatment cabins including two romantic cabins for couples’ treatments. The spa has a range of luxury facilities such as a cryotherapy complex, soothing baths, saunas, steam rooms and a tranquil indoor swimming pool overlooking the bay of Monte Carlo. Guests can also benefit from use of the state of the art gym with fantastic views of Monte Carlo as well as fitness classes and use of the hotel’s tennis courts. After all of the activities on offer both in and around the hotel, you’ll no doubt enjoy relaxing in the Jacuzzi which has fantastic views across the Mediterranean and is the ideal place to catch the sunset before dinner. The Hotel Hermitage Monte Carlo has direct access to the spa and is made up of 278 luxury rooms and suites. Each room is classically designed and yet has plenty of modern facilities to ensure that your stay is as comfortable as possible. Hotel guests will benefit from 24 hour room service, air-conditioning, satellite TV, Wi-Fi access and a well stocked mini bar. There are three delicious restaurants to choose from during your stay in Monte Carlo, so you’ll be sure to enjoy the variety of cuisine on offer. 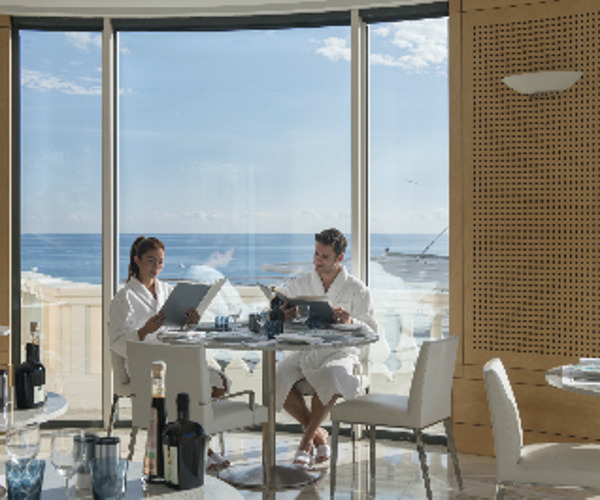 L’Hirondelle is part of the spa meaning that it serves up a delicious menu of healthy Mediterranean dishes as you overlook the sparkling sea. Le Vistamar is the proud recipient of a Michelin Star and has a delicious menu of gourmet seafood brought to you in a stunning location. Le Limun is the hotel’s glamorous cocktail bar which also offers a range of light snacks and nibbles.